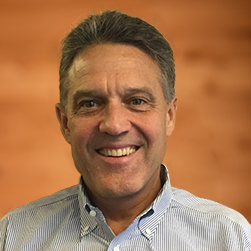 Peter Castaldi is the Principal and Co-Founder of Kovarus, Inc., a leading systems integrator specializing in business-aligned IT solutions. Since founding Kovarus in 2003 with Patrick Cronin, Kovarus has been consistently recognized as one of America’s fastest-growing private companies and has received several prestigious awards from key technology partners and industry organizations. Kovarus was recently named one of the best places to work in the San Francisco Bay Area and maintains a strong commitment to a positive, customer-focused culture. In the decade prior to the launch of Kovarus, Peter worked for leading software manufacturers, including Oracle and Veritas (acquired by Symantec). During his time at Oracle, Peter held a variety of management and sales positions serving the financial sector. 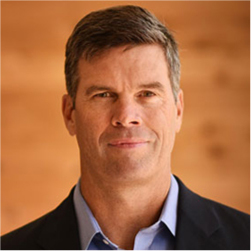 While at Veritas, Peter led the organization’s largest revenue sector in the Western United States. Peter is a passionate advocate of Kovarus’ work supporting community efforts and charitable organizations. Patrick Cronin is the Principal and Co-Founder of Kovarus, Inc., a leading systems integrator specializing in business-aligned IT solutions. Since founding Kovarus in 2003 with Peter Castaldi, Kovarus has been consistently recognized as one of America’s fastest-growing private companies and has received several prestigious awards from key technology partners and industry organizations. Kovarus maintains a strong commitment to a positive, customer-focused culture, and was recently named one of the best places to work in the San Francisco Bay Area. 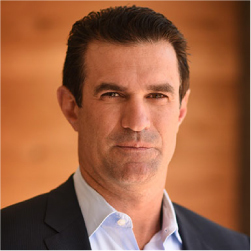 Patrick has more than 15 years of technical experience in various leadership positions for companies such as Oracle, EMC, and Veritas (acquired by Symantec), as well as several start-ups. He has received several industry awards for expanding new markets and developing innovative programs and services. Patrick is committed to Kovarus’ work with several charitable organizations and community support efforts. Mark McGourty is Kovarus’ Executive Vice President of Finance and Operations. In this role, he oversees the management of the finance and operations functions and personnel in support of Kovarus’ customers, employees, vendors, distributors, and partners. 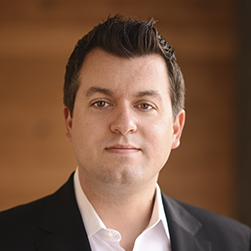 Mathew Shuster is responsible for leading the go-to-market strategy, enablement, and delivery of the Kovarus Solutions Portfolio, including hardware, software, consulting, professional services, and managed services. He is responsible for the Kovarus Solution Architecture and Service Delivery teams, the Kovarus Proven Solutions Center, and strategic partnerships. Mathew is an IT Executive with proven success in sales, consulting, small and large team management, partner relationships, and executive leadership. He has cross-functional experience across enterprise architecture, software development, SaaS and packaged application implementations, cloud and data center infrastructure, and IT strategy and operations. Prior to joining Kovarus, he served in several technology consulting leadership positions at Statera and Crowe Chizek.